This year’s UK weather has been a rollercoaster ride. And no-one yet knows for certain whether 2018 will end with a white fairy-tale Christmas, a winter of intense storms, or a long cold and dreary combination of rain, sleet, snow and flooding. However, we do know that by planning early we can take the sting out of whatever 2019 does throw at us. For me, two words sum up 2018’s weather so far – “unpredictable” and “extreme”. But I would like to add two more which I think summarise how we need to respond for both the short-term and the long-term – “preparation” and “resilience”. By that I mean preparing properly for the next period of challenging British weather while at the same time developing in-depth strategies designed to keep important industrial plants, housing projects and golf courses in businesses if and when the future gets even worse. Enzygo has recently been working to raise flood defences for some clients in the South Yorkshire area who were battered by the 2015 Boxing Day floods. Not only can you raise your resilience by enhancing your defences, it is also key to have a Flood Warning and Evacuation Plan in place. There is a lot of innovative thinking in this area. For example, if valuable ground does become wetter more often, techniques such as SUDS (sustainable drainage systems) can profile and landscape urban green spaces carefully to temporarily store, clean and finally recycle rain and melt water back to nature. These are attractive land-efficient alternatives to uncontrolled flooding. Later, I would like to look at some intriguing White Christmas facts and figures. But first I should explain why I believe we could be in for a very damp winter season as the notorious “British weather” changes. To date, the UK’s 2018’s weather has been varied. Spring started with a stationery cold Siberian front following quickly by summer heatwaves. UK autumn weather models have been struggled to incorporate the tail ends of Atlantic cyclones, including Hurricane Florence. Super-typhoon Mangkhut, meanwhile, has battered the Philippines and Southeast Asia. It’s hard not to believe that the world’s climate isn’t changing, temporarily or permanently. Preparing for a soggy winter ahead is a sensible idea, I think. As I also mention later, the UK has learned quickly from recent bad winters. Key infrastructure is now inspected regularly and Environment Agency schemes protect thousands of properties – though there is much still to do here. The Met Office recently reinforced the UK’s urgent need for serious preparation by releasing a fresh list of 2018-19 male/female names for major autumn/winter storms – from Ali and Bronagh to Callum and Deirdre. Research shows that names do help to raise awareness. In the best possible world, a White Christmas could be on the cards. However, winter events over the last 70 years often tell a very different story, including the famous and less well-known events of 1953 and 2013 which are a study in not being prepared and being well-prepared. In 1953, a North Sea tidal storm surge driven by low-pressure, and therefore high sea levels, plus strong winds, inundated 1,600km of coastline, displaced 30,000 people, damaged 24,000 properties and killed at least 19. The UK was unprepared! In contrast, a 2013 surge caused by Cyclone Xaver (as distinct from Xavier in 2017) reached even higher levels and was said to be the “most serious” for 60 years. It killed two people, saw cliff-tops houses collapse and washed a Norfolk lifeboat station into the sea. The 2013 event is probably less well known because it coincided with the death of Nelson Mandela. But the EA noted that in 2013 circa 800,000 properties were protected by flood defences and, importantly, that better forecasting created “vital time” for people to respond. Even so, houses were still flooded at Whitby, Boston, Great Yarmouth and Lowestoft. Some 500 Kent homes were evacuated. Scottish transport was affected. The emergency reached as far inland as Doncaster. Northern Ireland and Wales were hit, as were the Netherlands, Germany, Belgium, Sweden and Denmark. But the sea defences held! Preparation paid off. It’s worth noting on a global-scale that 2018 is not turning out as US-based NOAA (National Oceanic and Atmospheric Administration) expected. NOAA uses El Niño (El Niño Southern Oscillation) data to predict major storms. It forecasted a quiet season. Instead, there is evidence that storms are becoming more frequent, larger and powerful. Moving towards winter 2018-19, the World Meteorological Organisation (WMO) assesses the probability of a mid-Pacific El Niño event affecting the global weather to be 70% – with UK implications. Unusually, 2018 started with the Pacific’s cooler La Niña phase linked to worldwide heatwaves, droughts and wildfires. A late 2018 El Niño would follow only two years after the 2015-16 El Niño, one of the strongest ever which saw heavy flooding from Storm Desmond and Storm Eva in Northern England, Scotland, Wales, Northern Ireland and the Isle of Mann. Not good news. Britain is in an awkward place. We have the unenviable distinction of living where four great weather regimes collide – Atlantic maritime, Baltic-Siberian, polar systems via Greenland and tropical European. Where they meet at any particular time is very much dictated by the position of the jet stream. This in turn is slowing down and meandering north and south in the northern Atlantic for a number of not fully-understood reasons thought to be linked to global warming. The result is that weather patterns can stall for weeks. It doesn’t take much on a small island to tip local conditions from Aberdeen to Aberystwyth, Truro to Tynemouth and London to Larne. Accurate local forecasting is difficult. So, what can we do? Quiet a lot in terms of auditing risks and practical planning to safeguard property, plant and machinery. We can also put well-rehearsed plans into place to protect and evacuate employees, customers and residents if the worst come to the worst. However, Enzygo does much more. We also help clients to resume production and commercial activity once flood, drought or fire events are safely over. We look first at the type and scale of possible flooding, plus the probability and potential damage. Businesses then have several choices. One is that they can pay for any flood damage. Another is that they can invest in defences to divert or hold back flood water. However, given the economic climate, one further option is to calculate a responsible balance between the damage they can live with versus the damage that could potentially wipe them out. For example, a company knows that building a bund to keep back high flood levels will be expensive. But also knows that the chances of such an intense event occurring are low, even though damage would be extensive. At the same time, it understands that a lower level of flood is much more likely. Accordingly, it could opt to construct a lower bund to protect against lower but more frequent damage, and live with the low-probability of a really bad flood. This is interesting because if the weather does get progressively worse, we may need to move towards the Dutch model of resilience. As a nation built below sea level, the Netherlands’ flood defences must never fail! In the UK, however, we follow a hierarch of planning, managing and mitigating. I foresee that changing. Resilience also includes implementing robust site-based Flood Warning and Evacuation Plans (FWEPs). These typically include features such as sealed rooms, protected power systems and temporary or permanent flood barriers. 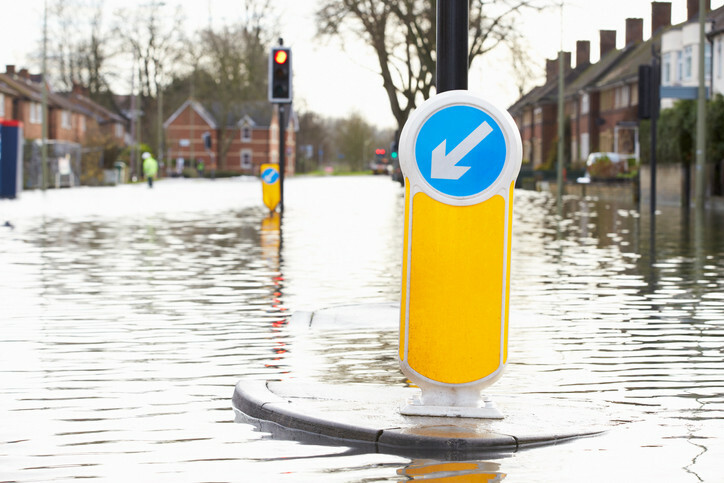 Enzygo has extensive experience here in terms of Environment Agency (EA), or SEPA, flood warning codes for leisure, commercial, domestic and industrial premises. Again, we ask what clients want to achieve from flood defences versus mitigation and what they can live with? Our well-proven Flood Risk Assessment (FRA) system, which works to NPPF, TAN15, SPP7 and Irish Council Guidelines, helps in understanding what is at stake. FRAs include 2D numerical tidal, fluvial and pluvial flood modelling and combined flooding scenarios. Moving into the recovery stage, to complement FWEPs we provide Business Continuity Flood Assessments (BCFAs) that have two aims. The first is to help businesses operate as usual. The second is minimising damage risks and protecting key infrastructure and assets. I am very happy to answer specific questions, explain how our flood warning, evacuation and business continuity plans work, and provide some brief case histories. At Enzygo we have been responsible for helping train Holiday Park operators in how to manage Flood Warning and Evacuation plans, running desk top evacuation exercises and developing their contingency plans across the UK Our plans have been successfully used across several winters where tidal storm surges have occurred. But let’s not be too morose. White Christmases are romantic. We should be shaking up the snow globe and looking forward to images of merry Victorian skaters, smiling snowmen, chestnuts and old-fashioned unguarded high-carbon log fires! The last White Christmas was officially in 2010; there have been 26 in the last 51 years, according to official figures. Most of our snow falls in January and February – 21st December may be called midwinter’s day but is actually the start of winter. 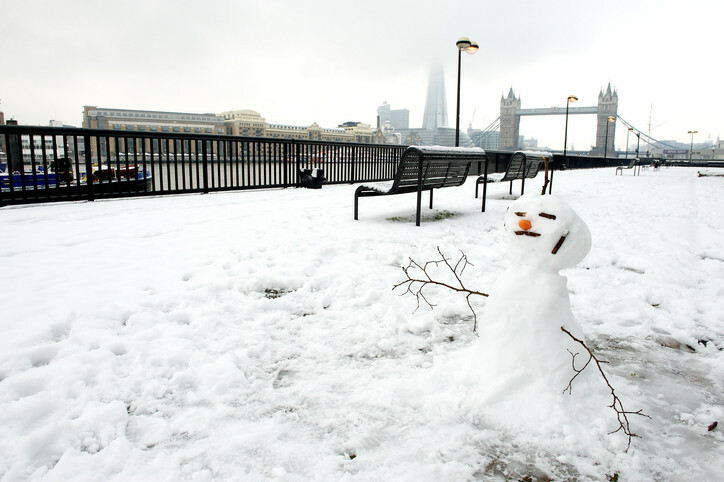 The White Christmas definition used by the Met Office and bookmakers stipulates that at least one flake must be seen falling during the 24-hours of 25 December. A few flakes melting as they fall with rain is a white Christmas. Sorry, three feet of snow on the ground from 24 December isn’t. The warmest UK Christmas Day at 15.60C was in 1920 in both Edinburgh and Devon; Gainsford and Durham experienced the coldest in 1878 at -18.30C. The windiest at 101 mph was in Shetland in 2011; Kent and Cornwall saw the sun for 7.5 hours in 2010. For our purposes, the wettest was in 2015 when 165mm of rain fell at Capel Curig, Gwynedd. The Northern Pennines is one of the UK’s snowiest places, with snow falling on average on 53 days of the year; but the Cairngorms, Shetland, Fair Isle and Orkney have it worse. The Thames froze 23 times between 1309 and 1814 – the last time ice was thick enough to support a traditional frost fair. The sea around Britain froze in places in 1963. At -200C, this was colder than the infamous 1947 winter which jeopardised the recovering post-war economy. But 1407 was worse when icebergs clogged the English Channel! The lowest ground temperature ever recorded was -89.20C on 21st July 1983 at the Soviet Vostok Station in Antarctica. Russia’s coldest city is Oymyakon at -67.80C. The snowiest city on Earth, with 8m a year on average, is Aomori City in Japan. It may not be “beginning to look a lot like Christmas” quite yet. But it isn’t too early to start making sound weather plans for Christmas, a Happy New Year and 2019!